A safe place for people without homes, Churches United for the Homeless is a non-profit shelter that provides shelter and support in a spiritual setting. 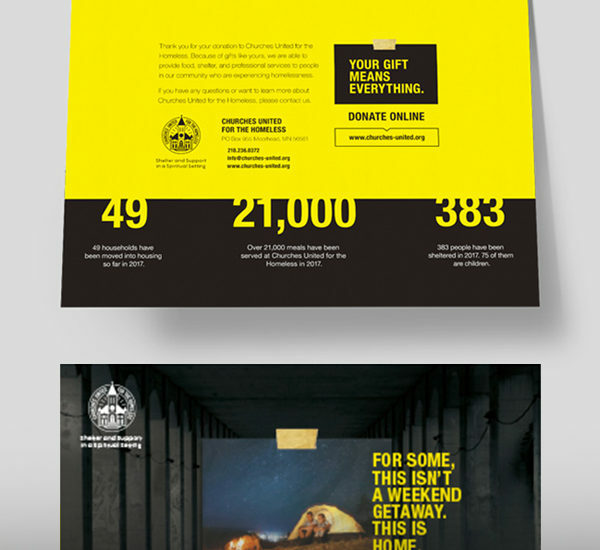 Churches United asked Super Studio to create marketing materials that would encourage donations throughout 2016 and 2017. 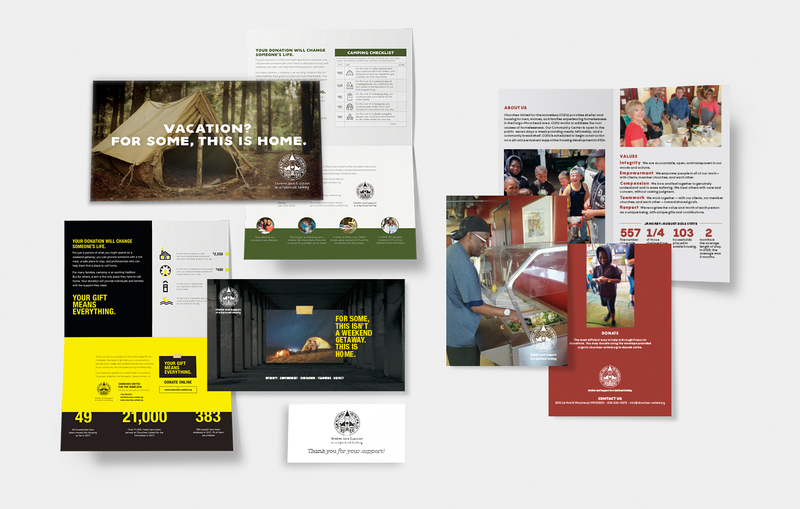 Super Studio created several marketing materials for Churches United, including direct mail pieces that appealed for donations during Giving Hearts Day and in the summer and winter — some of the toughest times of year for people without homes. The 2016 summer appeal mailer helped Churches United bring in 20% more donations and increased the average dollar amount of their donations by 31%. More importantly, it helped them reconnect with previous donors who had fallen out of touch.